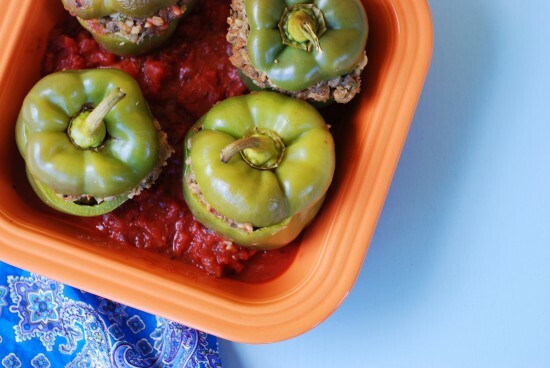 Italian-style stuffed peppers were always a staple in my house growing up. This version has all the traditional flavors as the childhood classic, but replaces the meat with lentils and brown rice. 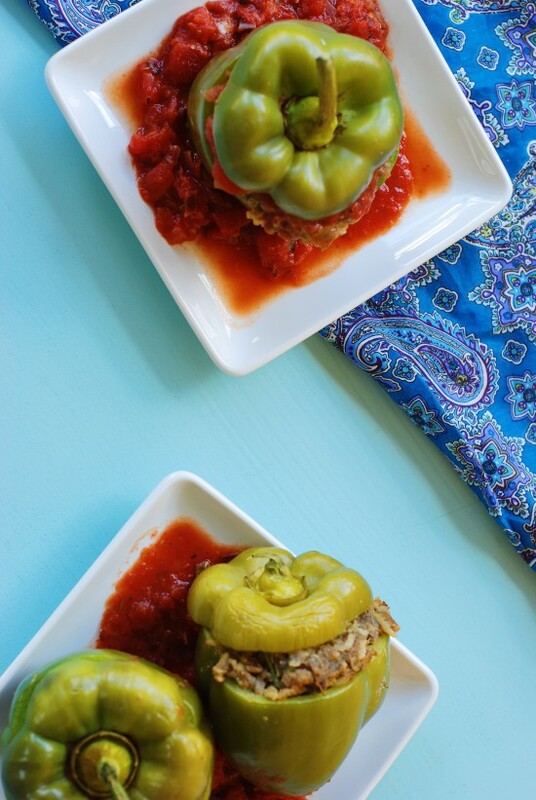 I always make extra stuffed peppers… they make great leftovers! In a frying pan over medium heat, sauté the olive oil, the onions, and the garlic. Sauté until soft and just beginning to brown, about 5 minutes. Transfer half of the garlic and onion mixture to a sauce pot and half to a mixing bowl. In the sauce pot, over medium high heat, cook the onions and garlic with the crushed tomatoes, diced tomatoes, the salt, half the rosemary, and half the basil. Let the sauce come to a boil, then reduce the heat to low. In a mixing bowl, with the garlic and onion mixture, mix together the rice, lentils, half the rosemary and half the basil. Stir in the soy sauce, nutritional yeast, garlic powder, flaxseed, salt and pepper. Cut the tops off of the bell peppers, and remove the core and seeds. 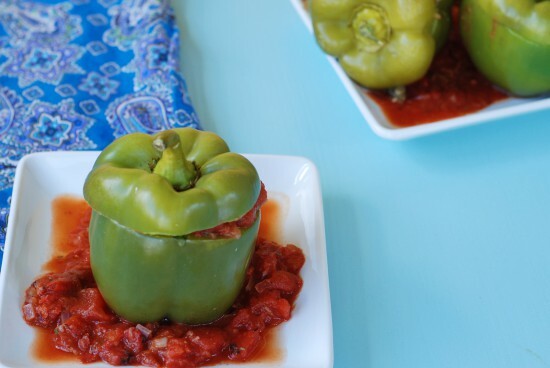 Stand the peppers up and fill each bell pepper with 1 cup of the lentil mixture. Put the tops back on the peppers. In a large baking dish, pour half of the tomato sauce on the bottom, Put the peppers in the pan and cover with a lid or aluminum foil. Bake for 55-65 minutes, until the peppers are tender when pierced with a knife. 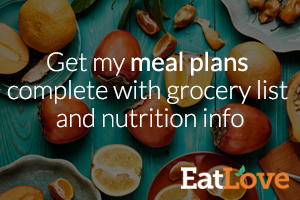 Serve with additional tomato sauce, a sprinkle of nutritional yeast, and some fresh basil. . Leftovers keep well covered in the refrigerator.